Hello everyone! As we continue our look today at Toy Story Mania, today I’ve got some great Facts and Figures that you may not have known about. I hope you enjoy! Toy Story Facts and Figures! Toy Story Mania is the first attraction that Walt Disney Imagineering designed for two parks at the same time — Disney’s Hollywood Studios and Disney’s California Adventure! This is the first attraction that Walt Disney Imagineering designed where the Imagineers had to wear 3-D glasses to art direct all the black-light paint elements. 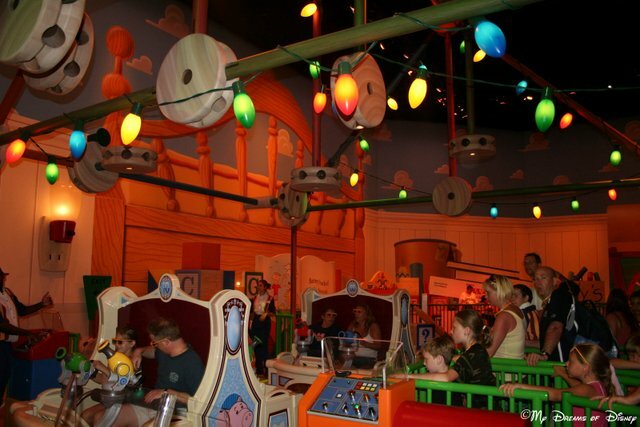 In Toy Story Mania, every person experiences life the size of a toy. So, a 5 1/2 foot tall person is seeing the room the size of a 14 inch toy! Each ride vehicle weighs as much as 8,580 Woody dolls. In each of the Toy Story Mania! games, there is at least one “easter egg” — targets that can trigger the appearance of bonus high-value targets and other changes in the scene. This is a lot of great information, but there are even more things for you to discover. Did you know about the easter eggs? I know that I didn’t! While I imagine that I may have hit one at some point, I don’t know which one was it, or even if it still exists. What about you? Thanks for stopping by today for our #DisneyTrivia post! Don’t forget to see my friend Jodi’s post at Magical Mouse Schoolhouse and my friend Heidi’s post at Heidi’s Head! They always have great trivia that is so much better than mine! 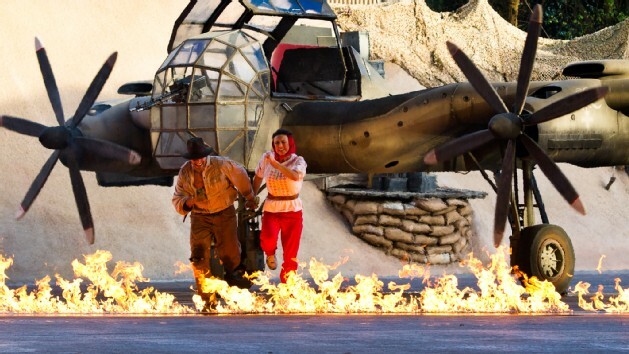 The Indiana Jones Epic Stunt Spectacular is our choice for #Day38 in our #DisneyWorldCountdown! Hello everyone, and welcome to #Day38 in our #DisneyWorldCountdown! 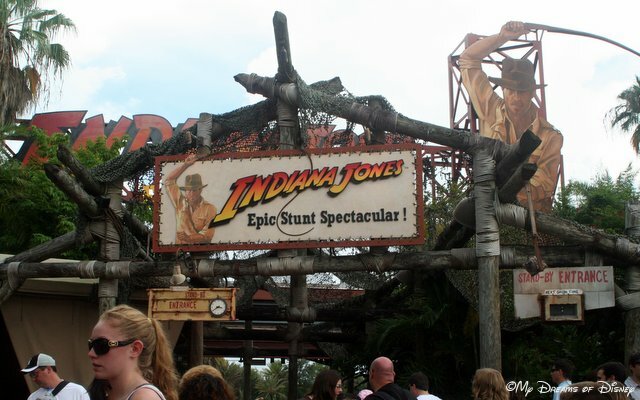 Today we are taking a look at the Indiana Jones Epic Stunt Spectacular, a show that takes a look at some of the stunts that are performed — and one that you can volunteer to be a part of the action! 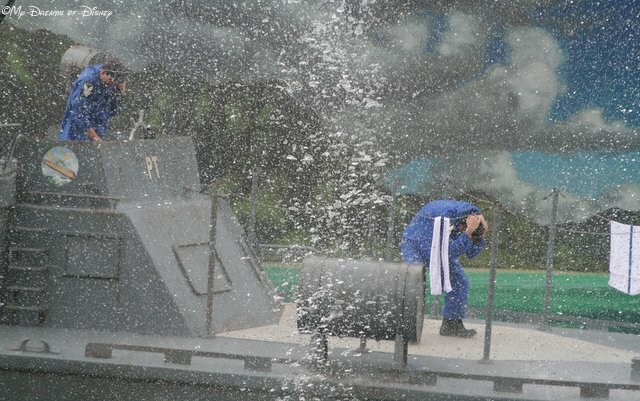 Looking at the image from the Disney website, it does make me think it might be fun to see once — weather permitting. What do you think, though? Is it worth the time investment to see it? The show is 30 minutes long, and at a park that can be quite busy during the summer, that is a long time to not wait in line for the thrill rides we want to experience, so in the end, is it worth the time? What do you think? Please let me know in the comments below, and thanks for stopping by! Rock ‘n’ Roller Coaster Unplugged! In this week’s #DisneyTrivia Segment, we look at the Rock ‘n’ Roller Coaster! Hello everyone, and welcome to this week’s Tiggerific Tuesday Trivia post! I’m joined by my friends Heidi from Heidi’s Head and Jodi from Magical Mouse Schoolhouse, and since we looked at the Rock ‘n’ Roller Coaster for today’s #DisneyWorldCountdown post, we’re going to continue our look at it for this week’s #DisneyTrivia post! I hope you enjoy our look at some of the unique facts and figures from this great attraction! As with all things Disney related, the backstory for this attraction is what sells the park guest on the experience from the beginning. If the backstory wasn’t so elaborate, it would just be another Universal Studios…here are some unique facts related to this attraction, which is located at Disney’s Hollywood Studios park. Did you know the name of the record label is G-Force Records, and that it is a play on the 4.5 G forces that the roller coaster will put you through? 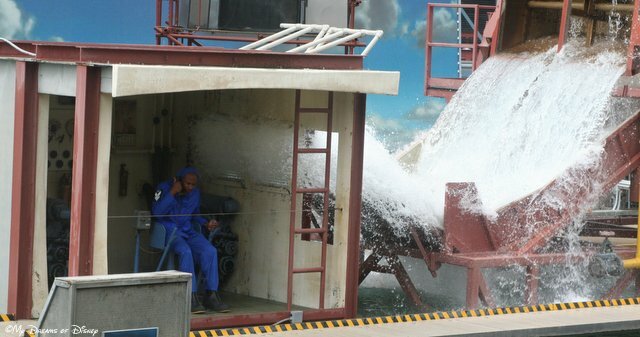 Do you know that the coaster goes from 0-60 MPH in 2.8 seconds? Did you know that the parking garage that you enter into is owned by the Lock ‘n’ Roll Parking Systems company? The sixth limo is switched out periodically — it doesn’t have a license plate or soundtrack, and when it is switched, the license plate is put on it and the soundtrack for that plate is programmed. Each limo has 5 speakers per seat, and their are 24 seats per limo, so a total of 120 speakers per limo. 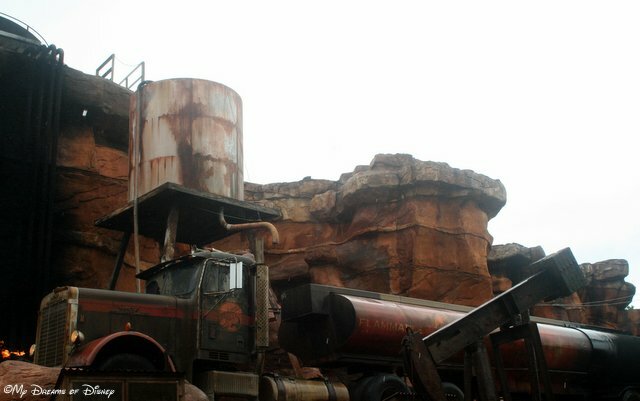 I know that this is one of my favorite attractions, and with all of the backstory, I really do think that it adds that much more to the attraction. What do you think? Let me know in the comments, and thanks for stopping by! Don’t forget to check the rest of the entries out — just click on the images below! Rock ‘n’ Roller Coaster Starring Aerosmith – our choice for #Day41 of our #DisneyWorldCountdown! Hello everyone, and welcome to #Day41 in our #DisneyWorldCountdown! Today we are taking a look at one of my absolute favorite rides at Walt Disney World — the Rock ‘n’ Roller Coaster Starring Aerosmith attraction at Disney’s Hollywood Studios! 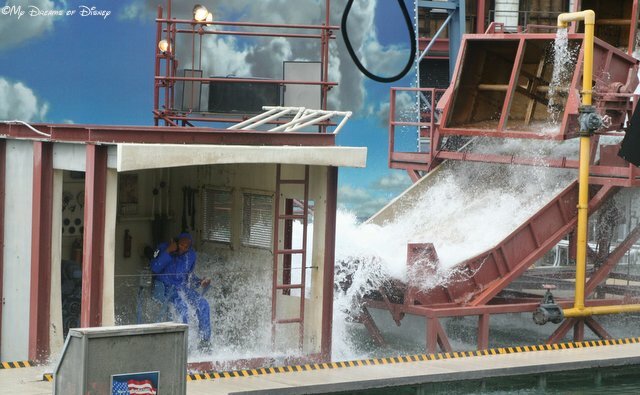 This incredible attraction is great because it is an all out adrenaline rush from the moment you sit down in one of the stretch limos until the time you come to a stop at the end! I love the way the guitar forms the tracks! The backstory is one of the most creative at Disney, you are going on a backstage tour of the studios where Aerosmith does their recordings, and while you are there, greeting the band, they are told by their manager that they need to get going for the concert. Well, they start to leave, but then Steven Tyler tells the manager that they can’t leave us hanging, and that he wants stretch limos, backstage passes, and all the works for all of us because they have to leave. So, we exit the studio to get in the limos, and have to navigate at top speed past traffic in order to make the concert in time. If this ride has a downside, in my opinion, it’s just that it is too short a coaster — and for my wife, niece, and daughter, they don’t like it as much because it seems like the ride jostles their head too much while they ride. Other than that, though, I absolutely love this ride, and it qualifies as a MUST RIDE for me every trip to Walt Disney World. 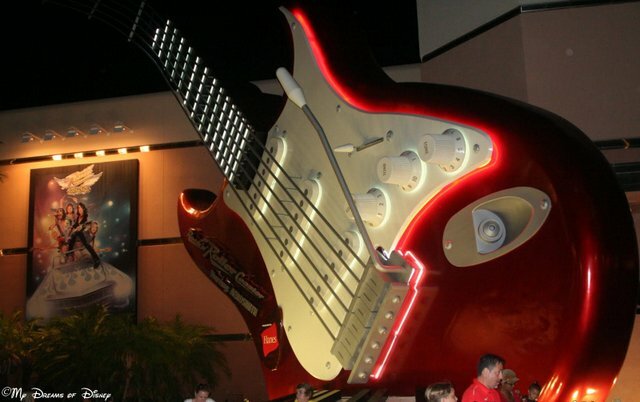 What do you think about Rock ‘n’ Roller Coaster Starring Aerosmith? Love it, leave it, or something else? Let me know in the comments, and also let me know what your top roller coaster is at Walt Disney World! Thanks everyone, and have a great day!